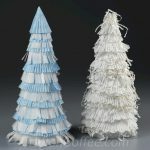 What a beautiful Christmas scene these Christmas Trees Made From Cupcake Liners make on your Holiday party table. There are so many different patterns available that you can make a whole variety of them. Assorted cupcake liner papers – I love the Wilton set of six coordinated Christmas designs. They give you lots of design options. 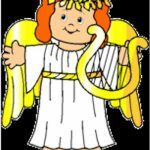 Card stock – 12 x 12-inch for cupcake liner Christmas trees of about 13 inches tall or less. Smaller squares of card stock can be used for shorter trees. Tacky glue – I used extra-tacky No More Nails. It dries white but grabs instantly. For a 13 1/2-inch tall cupcake liner Christmas tree, I used pieces of scrapbook patterned card stock with patterns or colors I wouldn’t likely use for a scrapbook layout. For a 10 1/2-inch cupcake liner Christmas tree, I used a manila folder and for a 9-inch tree I used a scrap piece from 8 1/2 x 11-inch card stock. 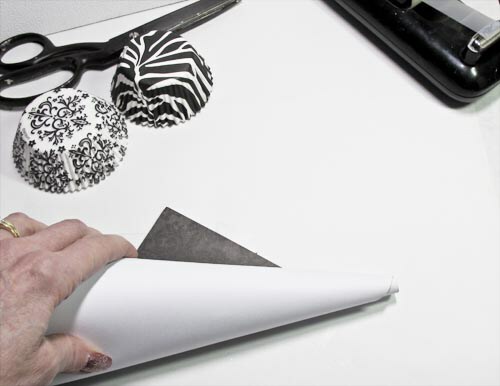 Roll square piece of card stock into a cone shape. To help get a nice peak, reach inside a loose cone shape and tighten it up by pulling the corner inside. Tape securely with transparent tape. Decide how tall you want your cupcake liner Christmas tree. Use a ruler and pencil to mark the bottom of the cone. Cut along the dashed line to remove the excess card stock. Make sure the cone stands up straight. Select two or three cupcake liner designs for the cupcake liner Christmas tree. Cut three or four cupcake liners at a time. Cut to the center and then around to remove the flat center. Assembling the cupcake liner Christmas tree goes more quickly if you do it assembly line fashion. Space thin strips of tape along the cut edge of 10 or so cupcake liner ruffles. The thinner the better – I learned by trial and error. The pieces should be thinner than shown above. 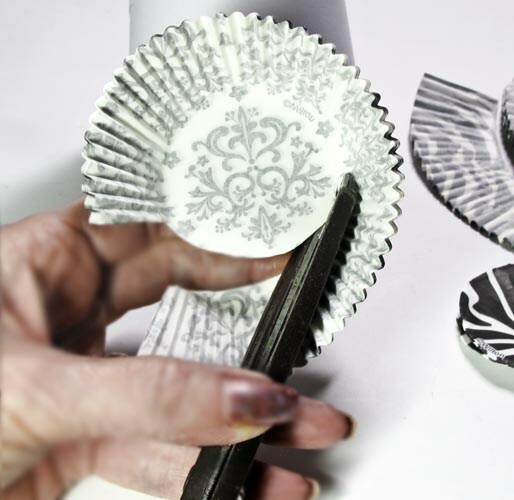 Alternating patterns, press the cupcake liner ruffles around the cone. Let as much as possible of the pattern for each layer show without the card stock peeking through. 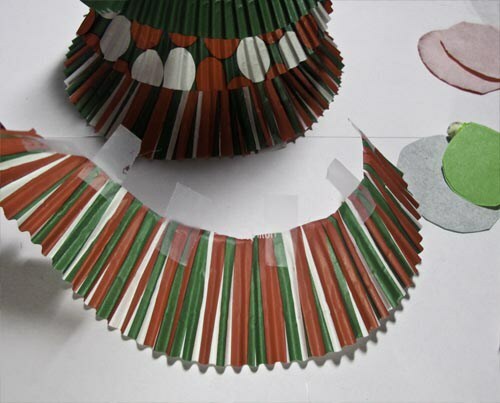 When you get close to the peak of the cupcake liner Christmas tree, use one of the cut out cupcake liner centers to form a perfect peak for the tree. Glue in place with tacky glue, wind the excess around and use tacky glue to close the peak. The last layer of ruffle for the cupcake liner Christmas tree should be glued in place rather than taped. After spending years as first a teacher and then as a VP of Finance for a major corporation, I took early retirement to devote time to my true passion, crafting. I own a small craft store, do custom orders and run The Artful Crafter website. I am always looking for easy craft ideas. I support adults with a intellectable disability, they would be able to make these.